Some health experts hold the pomegranate in high esteem and even call it the “new” fountain of youth or one of the top superfoods to include in your diet. But do you know that historically the pomegranate has always been greatly admired? Throughout the centuries it’s been regaled for its unique taste and bizarre appearance, tough and mottled on the outside, stunning on the inside with tightly stacked glittering ruby seeds. Mystery and myth has surrounded this fruit admired by some for its so-called powers of rejuvenation, while held in contempt by others, as a forbidden fruit of knowledge not meant for man. In the 14th century, Arab invaders brought the juicy ruby fruit to the shores of southern Spain. It inspired them to rename one of their conquered cities after the fruit, “Granada” which is the site of one of their most magnificent palaces, the Alhambra – filled with ornate carvings, fountains, and statuary. Apart from the Middle East, the pomegranate is also native to Northern India, and is now grown in California and Arizona. You can also find them at local delis and fruit stands, chilly grocery store produce isles, and in the kitchens of America’s top chefs. But what about the health benefits? Were the ancient sages right? 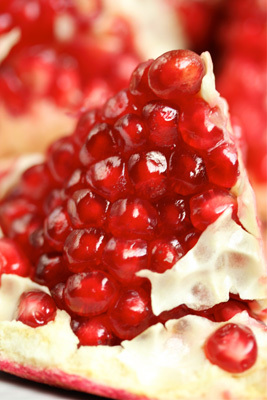 In terms of vitamins and minerals that our bodies need each day, pomegranates do not rank particularly high. Per serving – that’s about half a medium pomegranate (or 87 grams) – they have less than 10% of your daily intake for vitamins C and B3, calcium, iron, magnesium, and potassium. 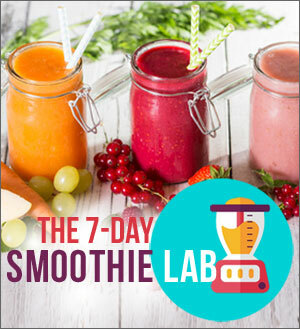 The juice ranks slightly higher in vitamins and minerals, because it doesn’t have the fat-free sugar-free fiber that comes along with the fruit. 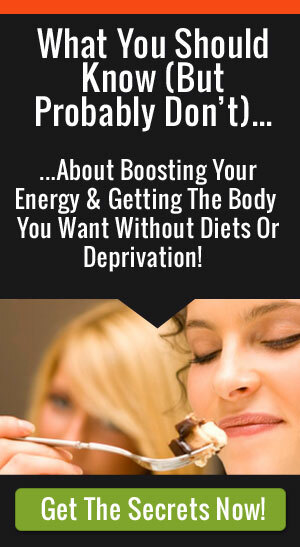 Essentially, you’re just getting the sweet stuff – which means more calories from natural sugars. So why is pomegranate all the buzz in the health world? Over the past few years, health experts listed pomegranate as a superfood since it contains very high levels of several polyphenols and terpenoids, or natural plant chemicals that protect the plant (and us) from cell damage: some you might even recognize like beta-carotene. Since pomegranate contains these antioxidants, there has been research and animal studies that show that it neutralizes substances in the body that can trigger prostate and lung cancer. Some studies have shown that it improves heart health by increasing circulation and keeping plaques in the arteries moving. Fresh pomegranate is great for a “slower snack”. Chill it first, cut it open with a knife and place it on a paper towel in case you happen to crush one of the “aril” or the juicy red parts surrounding each seed. Once the pomegranate is cut open, it’s easy to pluck the firm seeds out and pop them in your mouth as you work at the computer or watch TV. Enjoy a fresh pomegranate instead of loading up on high-fat, buttery popcorn or super salty chips. Pomegranate seeds are practically fat-free and 1/2 cup of the seeds with arils are only 80 calories. Pomegranates are in season in the US typically from September to January and have a delectable flavor that reminds me of a cross between a cranberry and sweet cherry. Cooking with them is easy and I love using the fresh seeds to sprinkle on desserts (like a low-fat cheesecake), stir into salsas, or use as a garnish on stuffed chili peppers and lightly baked seafood dishes. The juice is great for mixed drinks, marinades, and sauces. For the holidays, try mixing in fresh pomegranate seeds into wild rice dishes, mixed salads, and add them to your cranberry sauce. You don’t have to visit your favorite Mexican restaurant to enjoy, Pomegranate Margaritas. 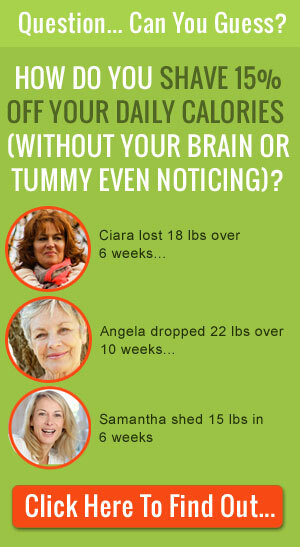 Could your favorite drinks, including fruit drinks be the cause of excess poundage? Find out what Joy Bauer has to say. 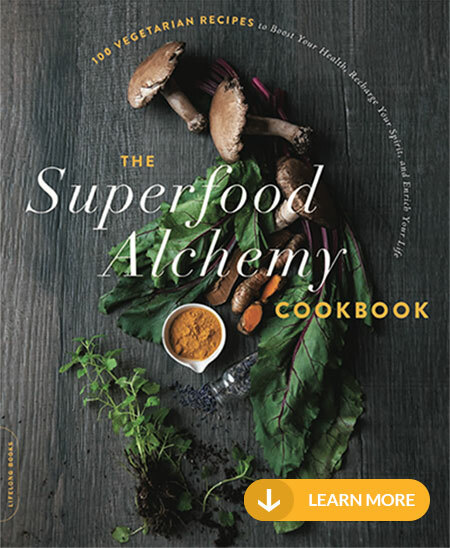 Is chocolate another superfood you should include in your diet? Read Elise’s blog about Pomegranates and check her amazing list of recipes. Find out how to peel a pomegranate. I have found the easiest way to get the little aril out is to do it under water. NO mess and they really do come out easy. Try it! 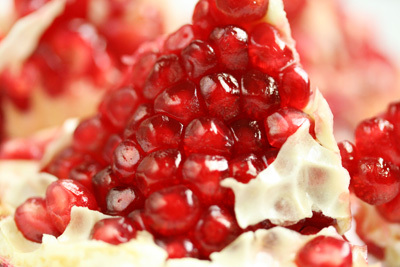 Pomegranates are indeed a very delicious and healthy fruit and it can be used in a variety of dishes. I even found a recipe for soup with pomegranate and I want to give it a try now as they are in season.